Somehow I managed to beg for enough votes to be top blog on the personal/lifestyle page today. Since this may never happen again, I want to document it. Thanks for helping, and please click on the fire every day if you can. I think I will celebrate this little victory (I'll take them where I can get them, thank you very much) by scouring the internet for another set of highballs. congrats- you have a great blog! 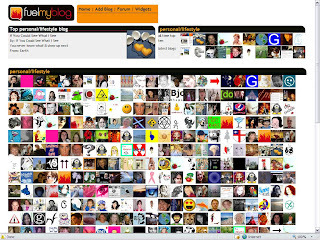 Congrats on being blog of the day today.